M5 Striding over the canal. 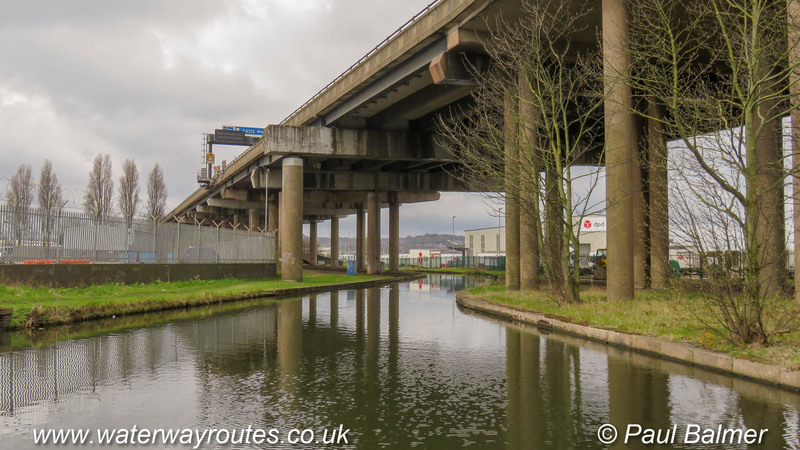 I wonder how many people driving along the M5 Motorway overhead realise the Old Main Line of the Birmingham Canal Navigations (BCN) is underneath. The modern motorway bridge has a forest of piers placed carefully around the canal so there’s no restriction to navigation.